1800SCALES.com™ Balances, Load Cells, Calibration Weights is linked here. We've been providing customers with scales and related weighing equipment since 2005 and while other scale companies come and go like a phantom, we've been steadily growing each year. We believe the reason is quite simple. 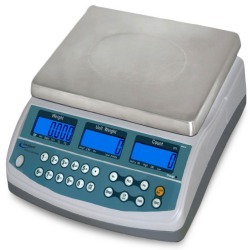 We provide a wide variety of scales and weighing equipment that is designed to meet your requirements and budget. If you have a particular price point you're trying to achieve, just let us know and we'll tell you what's available. If you have to get a scale by a certain date, just email us and we'll tell you if it's possible or not. 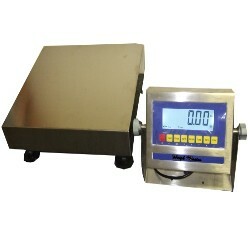 Of course, another great feature that customers that buy scales from us enjoy is that we make the process really easy. We supply almost all the top scale brands in the industry. Just browse our site, choose your scale(s) and then order them using our secure shopping cart. You can easily check the status of your order as it's processed and shipped. In fact, most of our orders ship out quick within two business days. We appreciate you stopping by and we hope that you'll take a look around our website and find the scale or accessory that meets your needs. 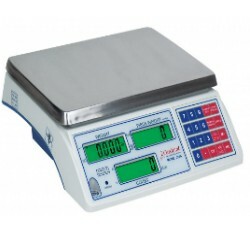 We sell the best scales and weighing equipment. We have a tremendous amount of experience within our organization when it comes to the weighing industry. We are constantly looking for ways to improve your buying experience. As you scroll around our website, you'll also notice that we operate entirely on the "point, click, and weigh" concept. Our business model is to offer only the best scales. Provide outstanding customer service via email. And to constantly strive to be better than the "other ecommerce scale websites". We've been providing Fishing Tournament Scales for many years. 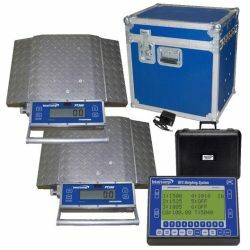 These digital scales and weighing related accessories are ideal for weighing fish at a competition. Rugged, affordable, and ideal for accurate weight readings. We can meet the budget for just about any fishing club or treasury. We've been recommending counting scales for a long time. We know the brands and we can help you get the most bang for your buck. You don't have to spend a fortune but a lot of times you do get what you pay for so work with us to get the right counting scale for long term. These scales allow you to place an item on the scale, enter a price per pound and then the scale will automatically calculate what the customer owes. 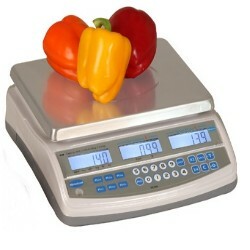 A price computing scale is vital for sellers at a farmers market or sellers of candy and frozen yogurt by the ounce. NTEP approved legal for trade. If you don't wish to use a digital scale at the farmers market, perhaps a hanging dial scale will work for you at the farmers market. 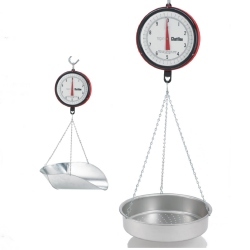 These mechanical hanging scales are great for weighing produce and they require no electrical power or batteries. 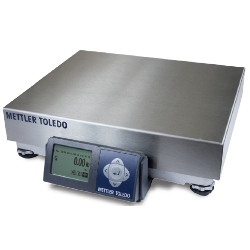 If you just need scales during inventory, then you might try our scale rental program. We have various capacities available and you get accurate counting without having to spend a lot of money. We typically ship out rentals each day. 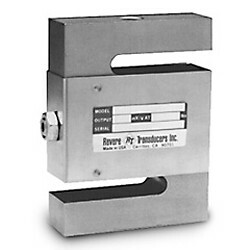 S-Beam load cells get their name from their "s" shape. S-Beam provide an output under tension pull. 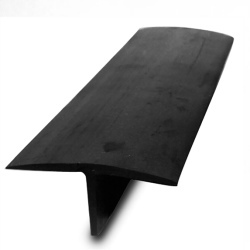 Applications for S-Beams include hanging, tank level, hoppers and truck scales. Available in alloy steel or stainless steel versions. 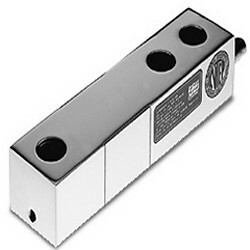 Bending Beam load cells also known as single end beam or shear beam load cells are often used in floor scales. Bending Beam feature low profile construction for integration. Single or double end beam available. Constructed in either alloy steel or stainless steel versions. Our selection stainless steel cylinder style test weights is designed to help you purchase exactly what you need quickly & efficiently. 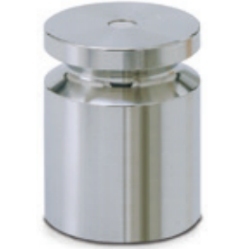 We have many different size calibration weights available in grams or pounds. These are meticulously crafted for precise accuracy to NIST F standards. Wheel Weighing Scales can sometimes be a nice alternative to a large and expensive truck scale. We offer both Intercomp PT300 and CAS RW wheel load scales. Intercomp PT300 solar powered Wheel Load Scales feature sealed construction and an all aluminum design that only weighs 37 lbs per pad. We know there are many choices out there to choose from when it comes to digital scale websites online. That's why it makes us so happy each time we see an order from a new customer who has decided to work with us. Thank you very much for your business. And, we hope that you will become like so many other customers that we have; and that is, repeat customers! Yes, we're proud to say that we do have quite a few customers who purchase from us on a fairly regular basis. And we're so proud that they trust us for their weighing needs. If you ever have any product requests or ideas, please contact us and let us know.